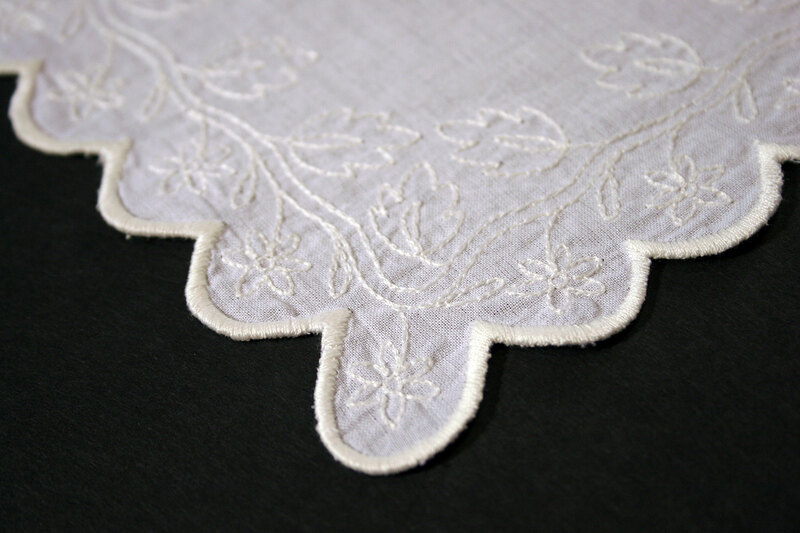 Here’s a sneak peak at an embroidery design that is almost ready to be released. It’s a muslin pattern from the June 1826 edition of Ackermann’s Repository of Arts, Literature, Commerce, Manufactures, Fashions and Politics. 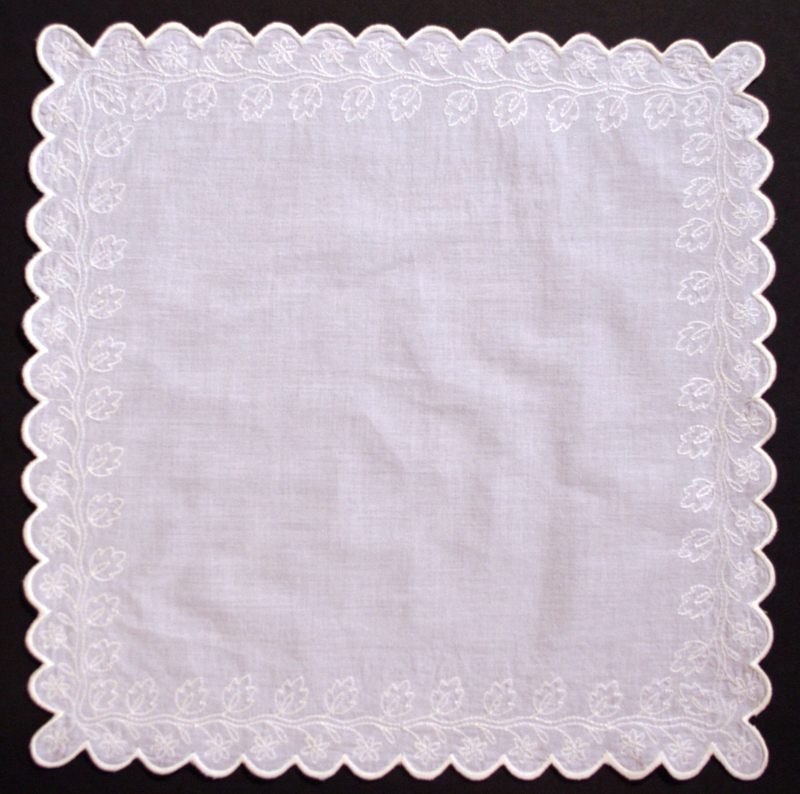 This particular design can be made up into a square for a handkerchief, or one central corner for a fichu. 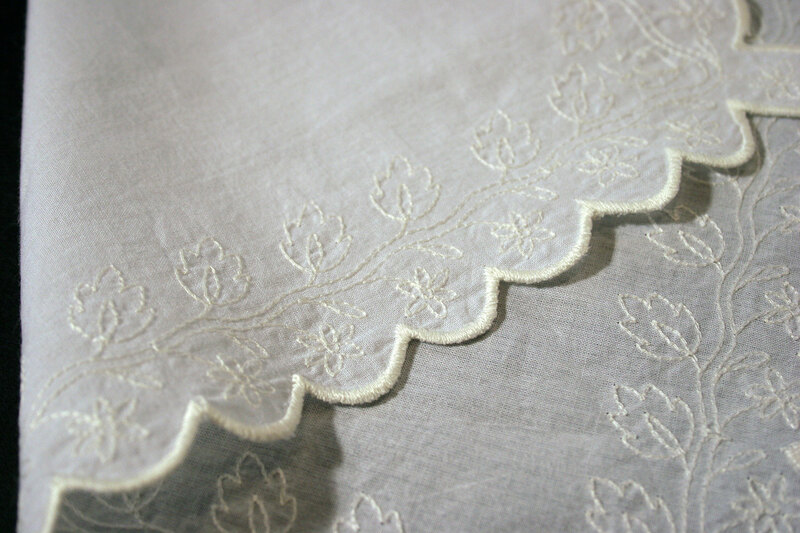 It could also be used for an apron or gown, with a scalloped edge and the floral sprig as a scattered fill or additional border. The original inspiration image can be seen here: This is the kind of design gets me really excited about the possibilities of machine embroidery. In less than 4 hours, I can make an entire handkerchief. In 4 hours by hand.. I can probably make a mess of some thread and want to throw my embroidery hoop across the room. I have great admiration for those who can do hand work, but I don’t know if I will ever have the time and patience to join their ranks. Until then, well-researched machine embroidery is a compromise I am happy to live with!